I’ve been watching the Spring/Summer 2012 shows with one eye. The other is firmly on FW11, because the cool September breezes have me thinking about what I want to wear you know, right now. But I always have a view on next season’s story – whether I am ready to tell the tale or not. Well, this plot line just thickened and something is a-stir. Trend it like Beckham. 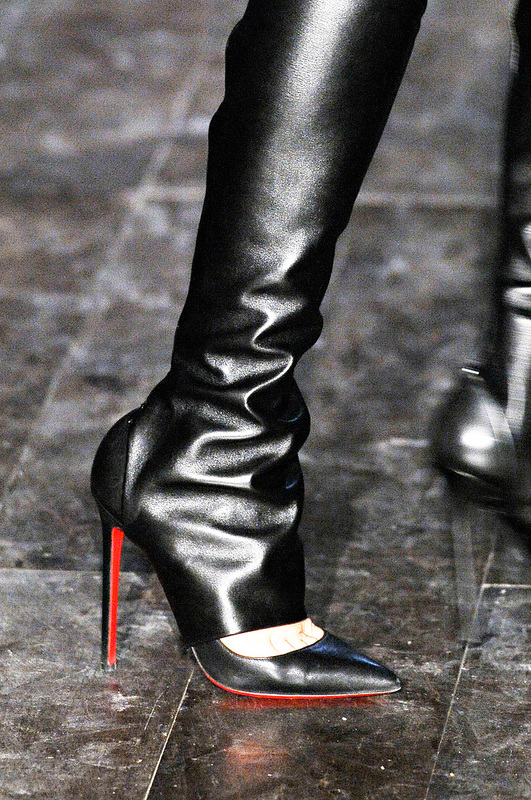 Victoria Beckham SS12 leather stirrups with Louboutin stilts. Now that's a kick!